Is there a better alternative to Printpress? Is Printpress really the best app in HTML category? Will Printpress work good on macOS 10.13.4? 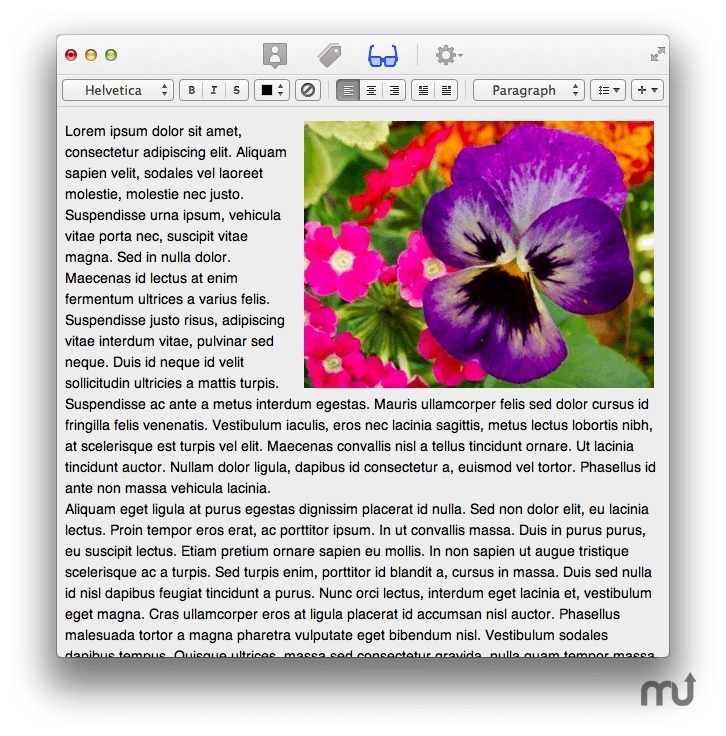 Printpress is a native WordPress blog editor for the Mac. You can create and edit posts, upload images, and manage multiple wordpress.com and wordpress.org accounts. Optimized for Retina screens - Printpress looks great on Macs with standard resolution screens, but really shines on a Mac with a new Retina screen. Text is incredibly sharp and all user interface elements are drawn at double resolution. Brand new HTML editor based on ACE Editor, including integration with HTML Tidy. Much faster. Can choose themes. Improved offline image support. Ability to add images offline in WYSIWYG mode and upload post + images in one commit. Just drag images onto the WYSIWYG editor to add them to a draft. Printpress needs a rating. Be the first to rate this app and get the discussion started! WYSIWYG and HTML editors - Edit your posts with the What-You-See-Is-What-You-Get editor and easily change fonts, colors, alignment, and a lot more with the click of a button. Or hand-tweak your posts with the HTML editor. 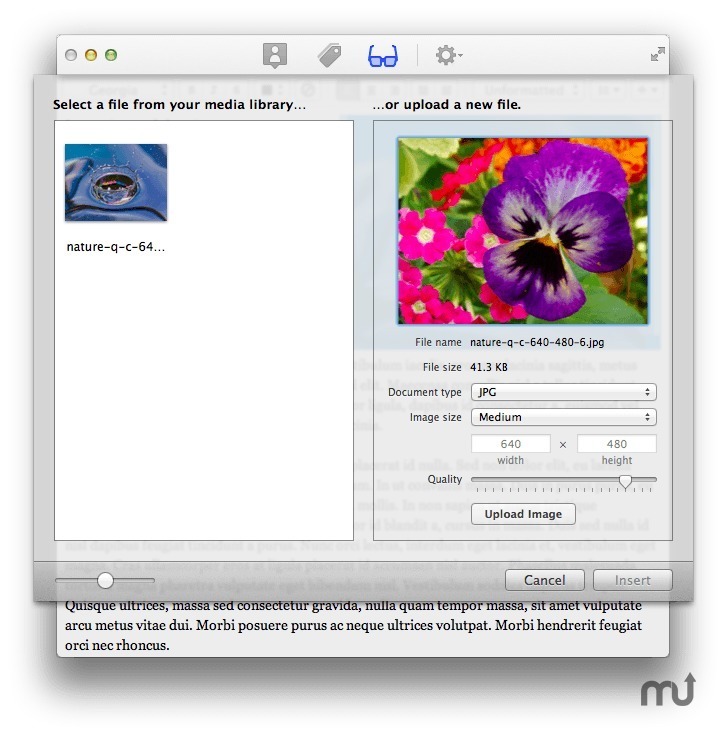 Upload media - Automatically resize, compress, and upload images directly to your blog. If you want to resize an image that is already uploaded, you can easily drag to resize right in the editor. 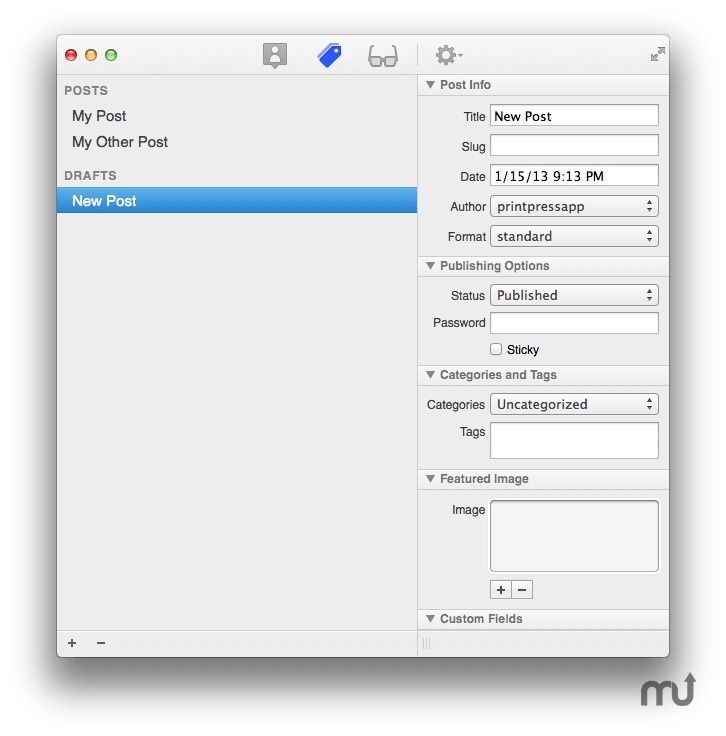 Work offline - Create local drafts to work on posts while you are offline. When you reconnect, publish local drafts to your blog with the click of a button. Advanced features - Printpress works with advanced WordPress features, including Custom Fields, Featured Images, Post Formats, and More tags. Multiple accounts - Create multiple WordPress.com or WordPress.org accounts within PrintPress, and easily switch between them. Improved WordPress blog preview. Does not refresh whenever you make a change to your post.